Win a digital copy of my latest book below! You can copy and share the image to let people know about the giveaway. What publisher or self publisher do you use? I use CreateSpace for my paperback books and Kindle for my ebooks. 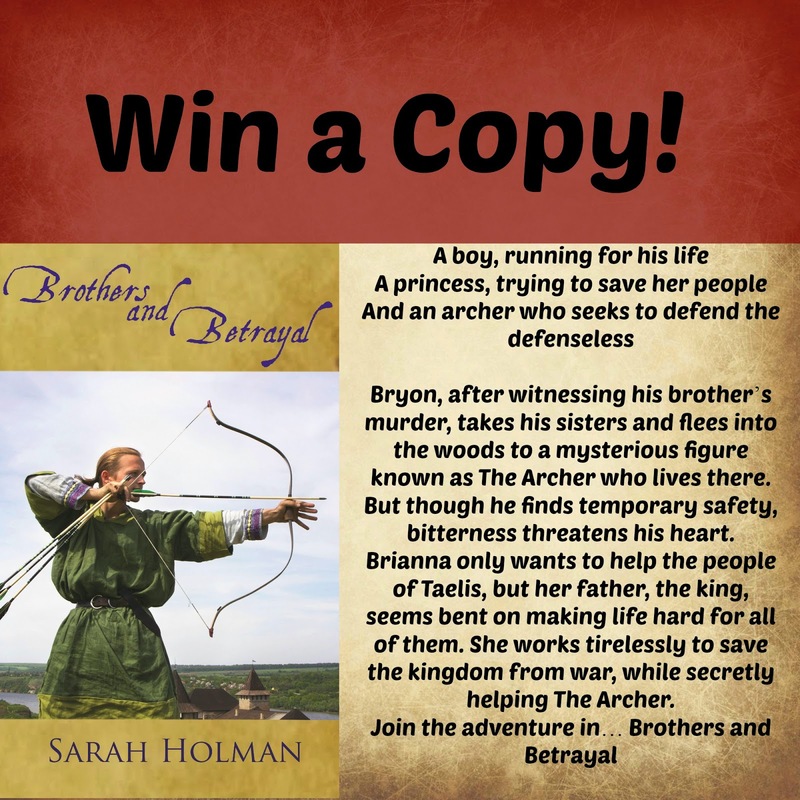 Awesome giveaway, Sarah!! Your book sounds fascinating! Do you have a specific writing routine? How do you go about doing research for your novels? I typically spend the month before I write a historical fiction in intense research (more if it is a time I don't know very well), take about a month or two to write the first draft two or three months break (where I work on another project) and then I edit for a month or two and send it out to my advanced readers. After I get it back and make the final corrections, I am ready to publish. Now to think of a question not asked in the interview. ;) What do you find most exciting as an author? Hearing how God used one of my books to draw someone closer to Him.